Armed with more than 100 years of experience, the butchers at Schneider’s Seafood + Meats can provide your Buffalo and Western New York restaurant with several different pork chop options to serve to your customers. From Frenched chops and tomahawk chops to pork porterhouse chops, we have a large selection available at reasonable prices. Regardless of which cut you choose, we strive to create chops that are uniform in thickness to keep cook times consistent. The butchers at Schneider’s Seafood + Meats can create many different top-quality pork cuts to meet the needs of your Buffalo restaurant. You can purchase pork cubed steaks, pork osso bucco and fresh ground pork from us. We also offer a few other specialty cuts to customers looking to add something new to their menu, so be sure to reach out to us for details. No matter what you order, our butchers will make sure your pork is consistently cut and competitively priced. 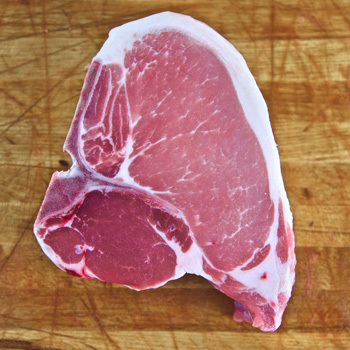 As a wholesaler for Western New York restaurants, Schneider’s Seafood + Meats offers countless options, including fresh pork chops and other quality pork cuts, such as cubed steaks, pork marrow and ground pork. 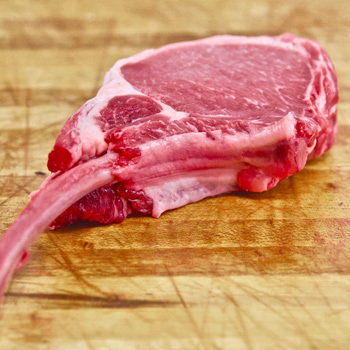 We offer Frenched, Tomahawk and Pork Porterhouse chops to help ensure your pork selections become true menu staples.